Stunning, brand new, high quality Outdoor Furniture. Colour: Black Rattan with grey cushions (note: not colourway as pictured below). Full UV protection - weather resistant materials. 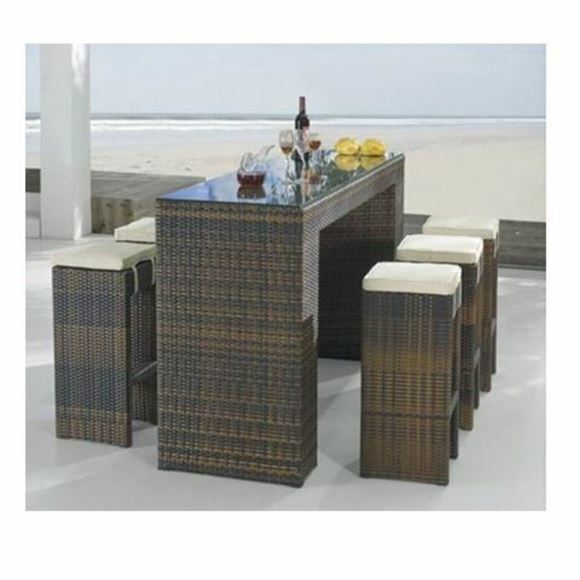 Made from completely weather-proof PVC Rattan. Hand woven and designed to stay outdoors all year round. Cushion Covers can be removed for separate washing. Dimensions: Bar 1800mm long x 1100mm high x 840mm wide. Does not include freight - to be arranged by buyer. Funds raised are to support the Programs, Activities and Services Blue Light provides for the young people throughout New Zealand. 100% goes back to Blue Light. If for any reason you are not happy with this item, we offer a full refund. Reduce the incidence of young people becoming an offender or victim of crime. Encourage better relations between the police, young people, their parents and the community.